Offering some of the most stunning skiing in Europe, Slovenia is to skiing what Croatia was to summer holidays 5 years ago. Beautiful untouched slopes, charming little towns and most certainly a corporate event destination to be talked about when you’re back in the office. If you’re looking to take your clients away to a new destination and perhaps combine it with a culture tour, where better than Krvavec. It’s just a 15 minute drive from the airport at Ljubljana meaning it offers incredible flexibility as a resort – we’d suggest staying in the city and driving to the ski slopes each day. Bohinj is situated in the North-Western part of Slovenia, in the picturesque Julian Alps. The resort consists of a collection of small villages surrounding the beautiful Lake Bohinj and affording some truly spectacular scenery. The primary ski areas of this area, Straza, Kobla and Vogellie sit close to Lake Bohinj with Vogel overlooking the the lake itself. Together the ski areas offer a wealth of activities and Winter fun. The majority of the pistes are suitable for beginner and intermediate skiers and there is a high quality ski school on hand for those wishing to improve their skills. 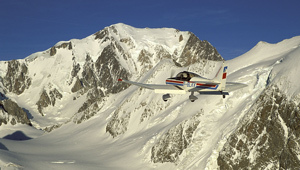 Advanced skiers may find the ski areas somewhat limiting, however there is plenty of opportunity for off piste skiing. In the village itself there is a small selection of Inns and restaurants which are ideal for relaxing and sampling local drinks and specialities. The standard of service and accommodation in Bohinj is very high and there are few resorts which can match the unique charm of the area. The enchanting village of Kranjska Gora nestles against the foothills of the picturesque Julian Alps, just a few miles from the Italian and Austrian borders. Kranjska Gora offers a high standard of accommodation and service in addition to enjoyable and wonderfully scenic skiing. There is plenty on offer for all levels of skier with varied beginner and intermediate trails, the challenging black pistes of the Podkoren Mountain for experts and of course the World Cup slalom run where the resort regularly hosts the FIS World Cup races. This charming resort offers plenty of activities, bars and restaurants to keep visitors entertained both on and off the piste, while its proximity to Italy and Austria ensures an impressive variety of international cuisine. Tucked into the forest at the top of the Kamnik Alps, Krvavec is a popular ski area and was awarded the title of best organised ski centre in Slovenia. Although it is possible to stay on the mountain, most skiers opt to stay in Kranj or Ljubljana and make the short trip to Krvavec to ski. The resort is part of the Bohinj ski area and as such offers access to 92 individual pistes in addition to the skiing in Krvavec itself (35km of pisted ski runs). The appropriate lift Pass will allow skiers to ski or board in the other Bohinj ski resorts of Bled, Kobla, Kranjska Gora, Soriska Planina, Stari Vrh and Vogel. The new gondola takes skiers to the slopes in less than seven minutes and the ski centre, situated on a peak at the edge of the Kalška mountain range, spreads across smooth alpine meadows. A typical season lasts 150 days with 100 days guaranteed. Overall the Krvavec ski area offers picturesque skiing for all levels and access to the neighbouring Bohinj ski areas. As the largest ski area in Slovenia, Mariborsko Pohorje extends from Maribor to the middle of the forests of Pohorje. 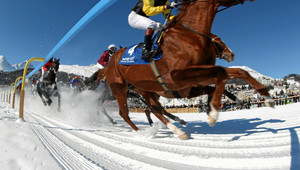 The resort offers over 200 hectares of skiable terrain and is home to the ‘Golden Fox’Trophy and the FIS World Cup. With direct access to 64km of downhill skiing, served by 20 ski lifts Mariborsko Pohorje offers something for all levels of skier, despite the relatively low altitude. Despite being the second largest city in the region, the town of Maribor is the capital of Štajerska. The town is pleasantly small, set in the wonderful natural surroundings of Pohorje on the one side and wine growing hills on the other, with the River Drava winding its way through. 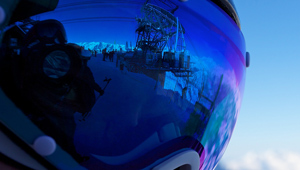 The town’s shops, bars and restaurants will ensure that skiers are entertained and sustained both on and off the piste. Our experiences with Mountain Leap never fail to impress by adding something special.